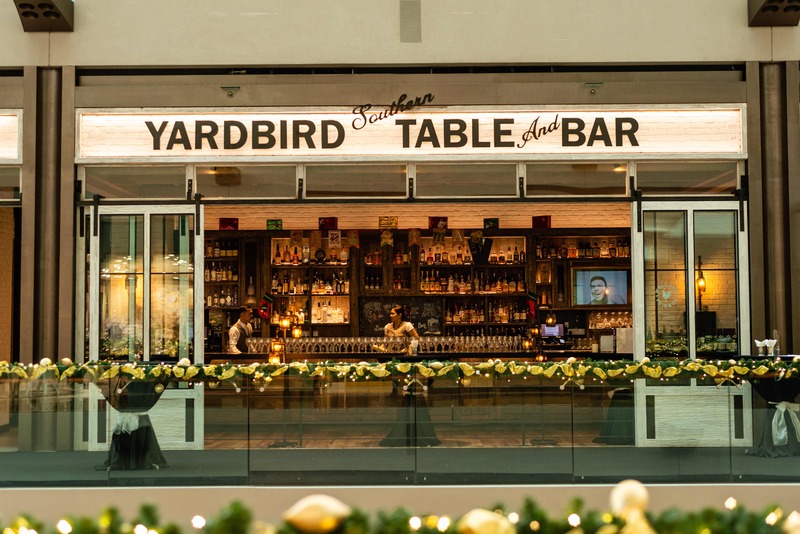 While The Bird Southern Table & Bar has been around at Marina Bay Sands for a year now, they’ve since relaunched the brand as Yardbird Singapore, taking on their American parent company’s namesake and a number of brand new offerings to usher in the holiday season. 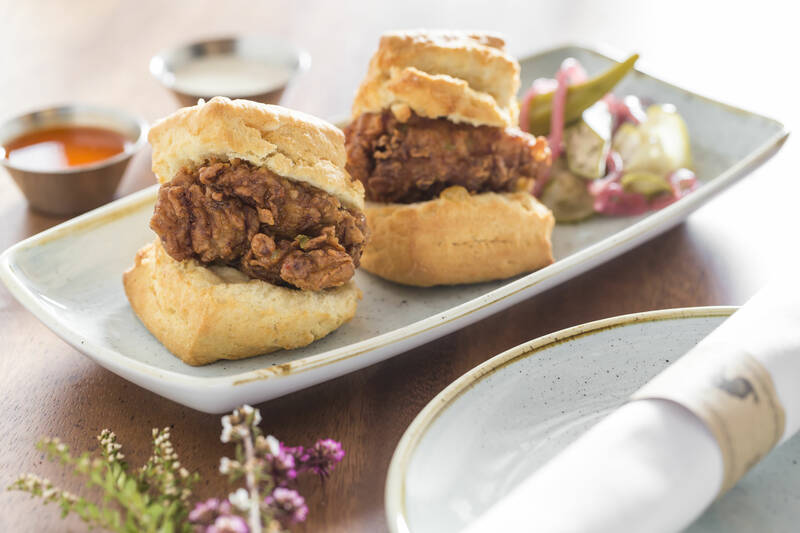 With the brand originally founded in 2011 by 50 Eggs Inc. from Miami, Yardbird Southern Table & Bar is committed to farm-fresh ingredients, soulful American cooking and gracious hospitality. Melding time-honoured cooking and preparation methods using unique indigenous produce true to each region, with the rebranding, guests can continue to enjoy what they love most about the restaurant alongside more exciting things to come with the relaunch. 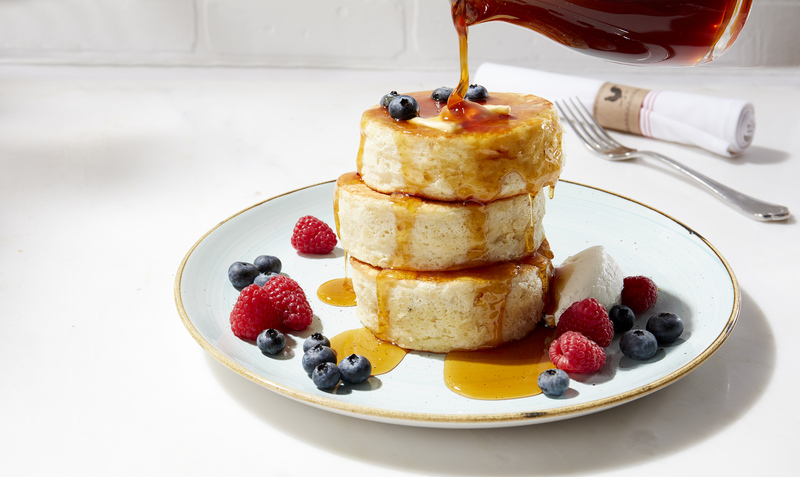 Something guests can newly look forward to and headlining the relaunch is the new Great American Brunch on weekends, featuring classic brunch staples reinvented in flavorful twists, dramatic desserts, and an even greater family-friendly experience. 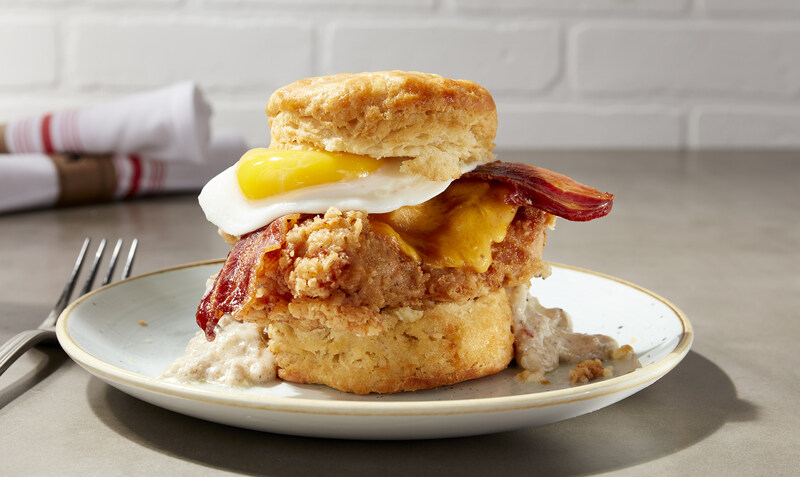 Guests can look forward to creations by Yardbird’s Corporate Pastry Chef and two-time James Beard Award finalist Chef Hedy Goldsmith, the mastermind behind the fluffy, mile-high Funfetti Pancakes (S$22++). 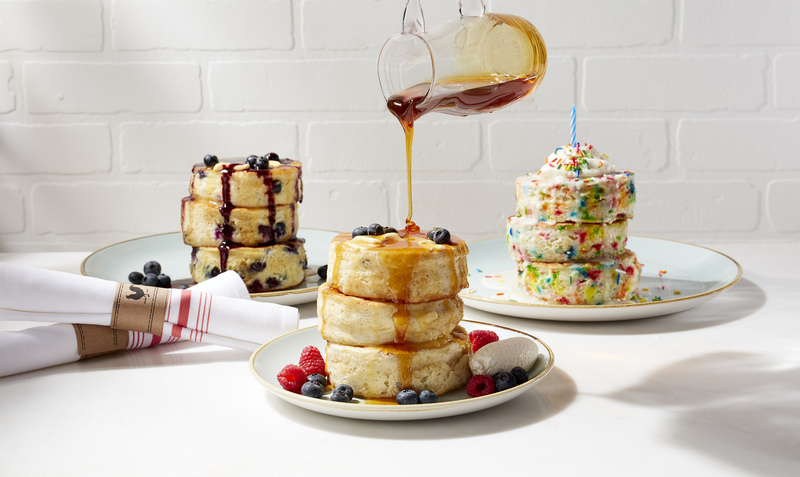 Perfect for birthday celebrations, the trio of buttermilk pancakes is studded with rainbow sprinkles, finished with citrus glaze, whipped cream and a side of bourbon maple syrup. 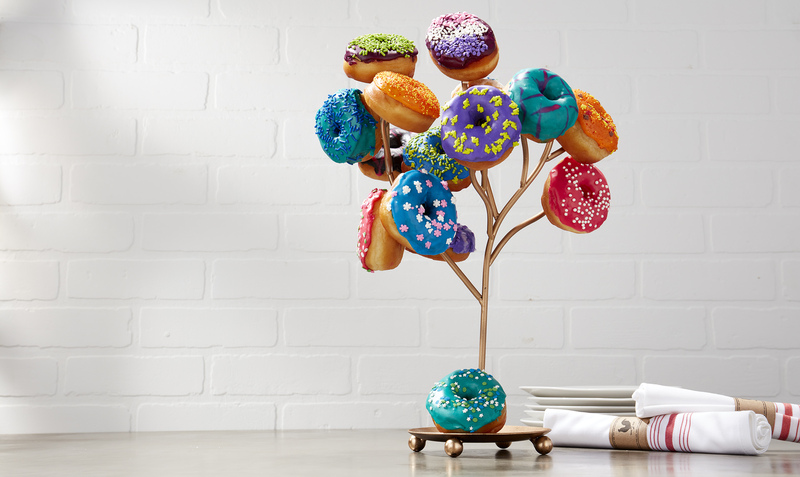 Brunch lovers will also delight in the fun-loving Doughnut Tree (S$16++), featuring a medley of six colourful glazed treats in three flavours that rotate on a weekly basis. Guests looking for healthier brunch options can also enjoy the gluten-free Salted Caramel Waffle (S$22++) with brûléed bananas and candied pecans, or select from an array of nutritious acai and granola fruit bowls, and fresh juices. 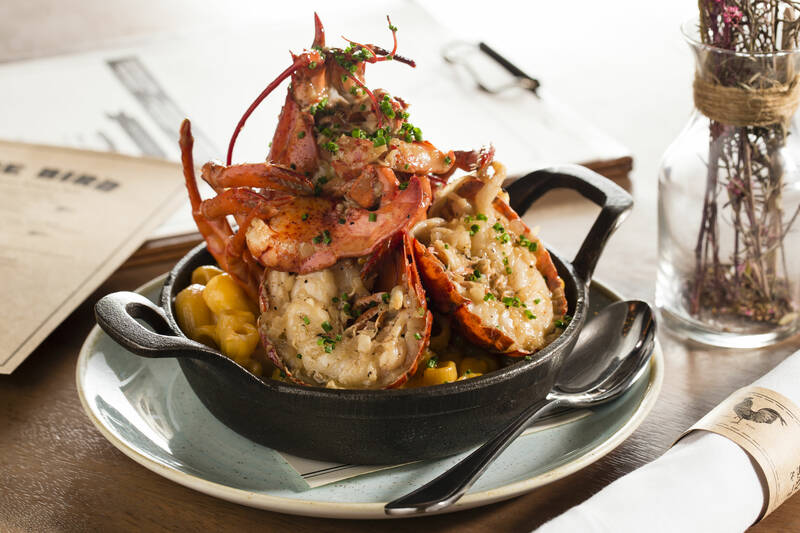 Apart from the Great American Brunch, Yardbird Singapore has also added a host of mouthwatering dishes to its lunch and dinner menus. New lunch items include the Yardbird Chicken Sandwich (S$22), featuring butter toasted brioche bun topped with a crispy chicken thigh tossed with house ghost chili rub. The spice blend used in this sandwich is made from ghost peppers, a hybrid chili pepper that is said to be 400 times hotter than Tabasco sauce. Other great mains on the dinner menu include the Smoked Pork Ribs (S$42++), Truffle & Foie Gras Roasted Whole Young Hen (S$45++) and the restaurant’s signature Chicken ‘N’ Watermelon ‘N’ Waffles (S$40). Apart from the Funfetti Pancakes and Doughnut Tree on the weekends, other new and fun dishes offered during lunch and dinner include the kid-friendly Little Burger with short rib, brisket and chuck blend, the delicious Bacon-Wrapped Shrimp bar bite made with whiskey mango glaze, and the savoury Lobster Mac & Cheese featuring fresh Maine lobster. 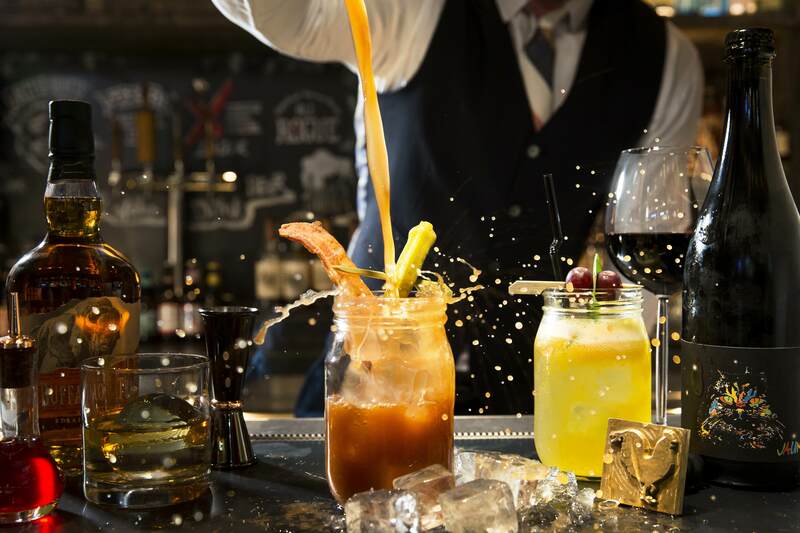 Yardbird Singapore will also continue to serve and impress with one of Asia’s most impressive selections of whiskeys, alongside mixing up high quality cocktails such as the new Flower Power, a gin-based tipple served with edible flowers, and its signature Bloody Mary on the weekends. Yardbird also offers a Classic Gin Tonic with lime, while adventurous guests can choose from refreshing twists, such as the Tropical Tonic with lemongrass syrup and lychee nut. With an alfresco sitting, vibrant bar setting and unrivalled views of the bay over brunch on a leisurely weekend morning, Yardbird Singapore is set to continue their streak of success and be one of Marina Bay Sands’ favourite restaurants to gather for brunch or a party when day turns to night, offering up all-American goodness and southern comfort in a relaxing, modern-rustic space. 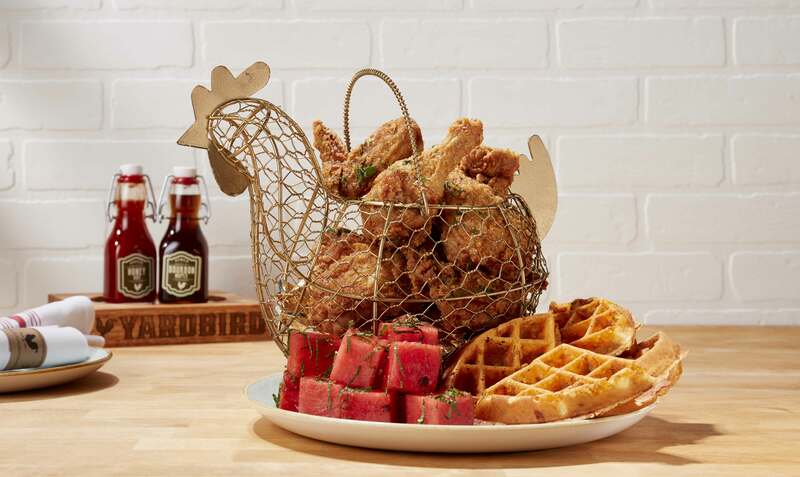 Yardbird Singapore is located on L1 & B1-07, Galleria Level, The Shoppes at Marina Bay Sands. For more information, visit their website, or follow @yardbirdsingapore.